The Salem witch trials marked one of the darkest moments in U.S. history. In 1692, two young children were accused of being "bewitched" and were arrested. More than 150 arrests occurred over the next two months, and a special court was created to try the cases. A total of 20 people were found guilty of being witches, and all of them were hanged. Inside this compelling volume, readers are presented with the facts of the Salem witch trials through primary sources from the era. Primary sources include letters, paintings, drawings, articles, and more. Readers are encouraged to analyze the images and decide if they are primary sources. 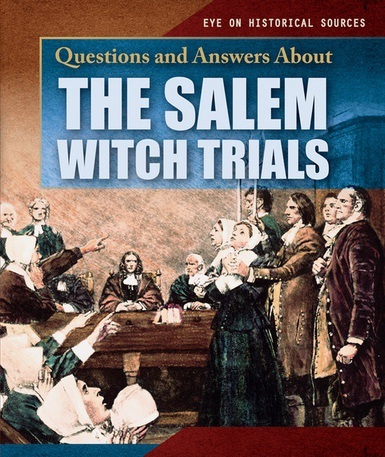 By asking and answering questions about the Salem witch trials and the primary sources surrounding them, readers are sure to gain a solid understanding of what is and what is not a primary source.